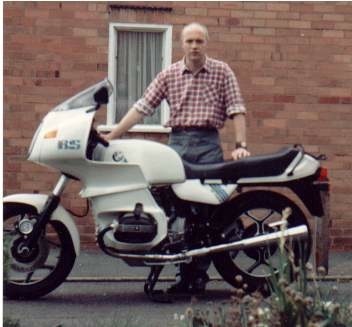 Notwithstanding having been a ‘mod’ in the 1960s, I have always loved motorbikes. 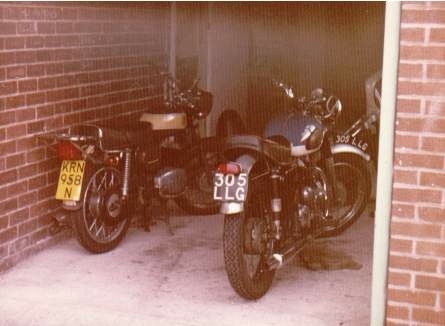 Most of the photos below are of bikes I have owned since 1975. All pics (c) GM4ULS. My CZ 125 Roadster and my 650cc AJS. 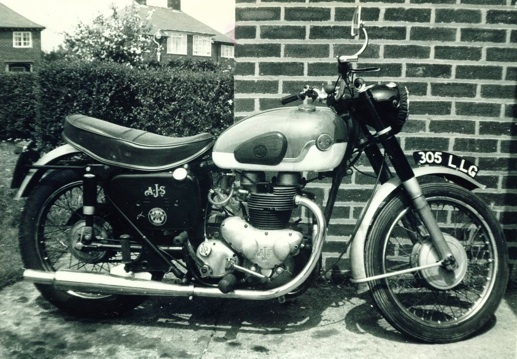 The AJS was a 1960 Model 31 4-stroke twin, but it had loads of Matchless parts. 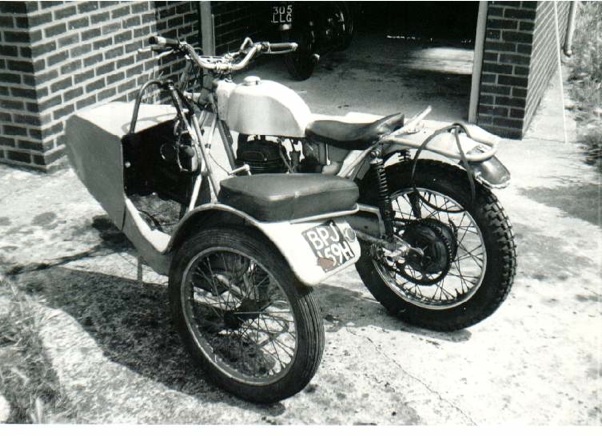 This 350cc Bultaco trials outfit was co-owned with a friend. We intended to enter it in trials but never got round to it. No pictures at the moment of my CZ 175. It was stolen one Christmas before I had taken any photos. 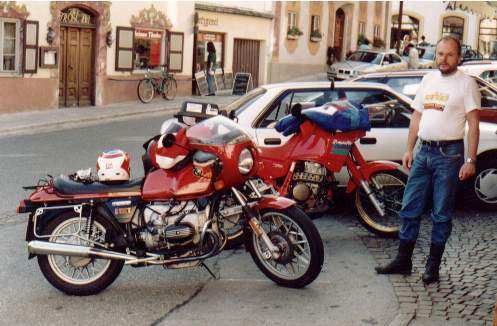 My CZ 250 was exactly like then one pictured below outside my front door (the one in the pic wasn’t mine, it belonged to my friend Garry Owen). This is my 350cc Jawa combo. I often used to take radio equipment around, like the little Icom SSB rig in the pic, or an old Liner 2. 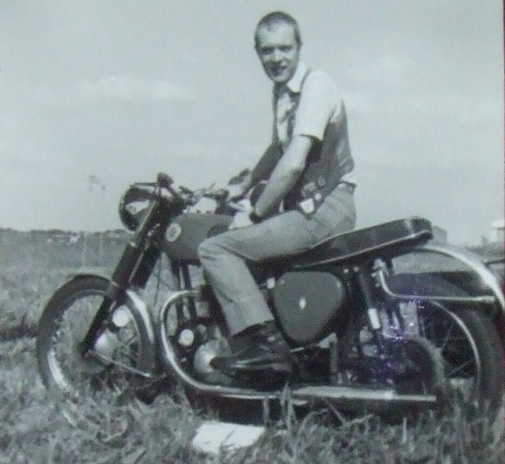 I owned a BSA A7 for a while. 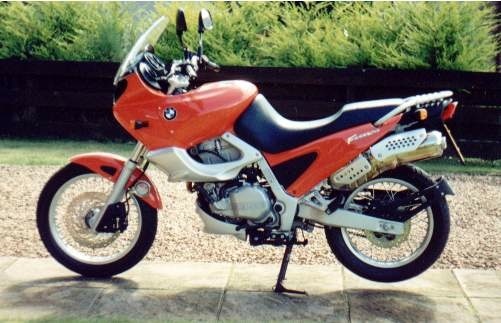 My first BMW – an R65 bought from Southport Superbikes in about 1984. 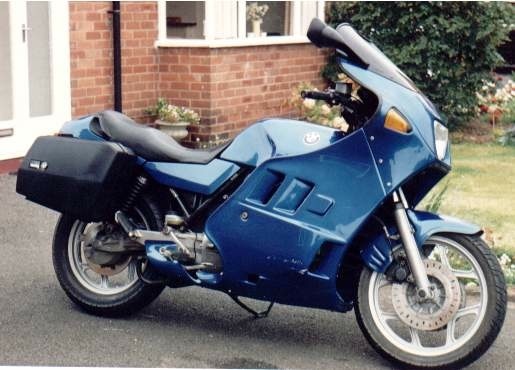 It had a Rickman Polaris fairing. 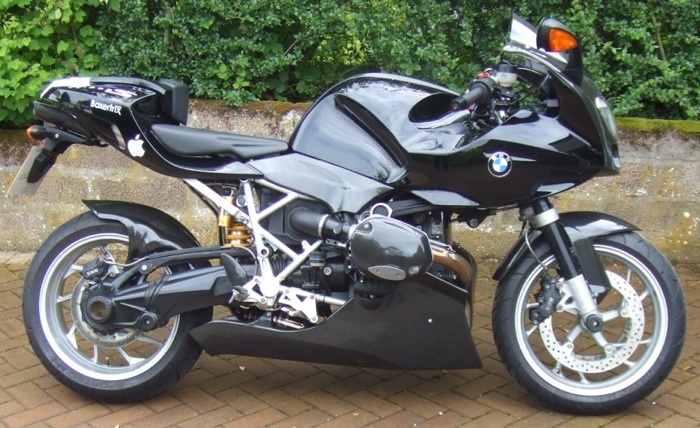 BMW K100 ‘Flying Brick’. Originally silver-beige, it got a blue paint job. 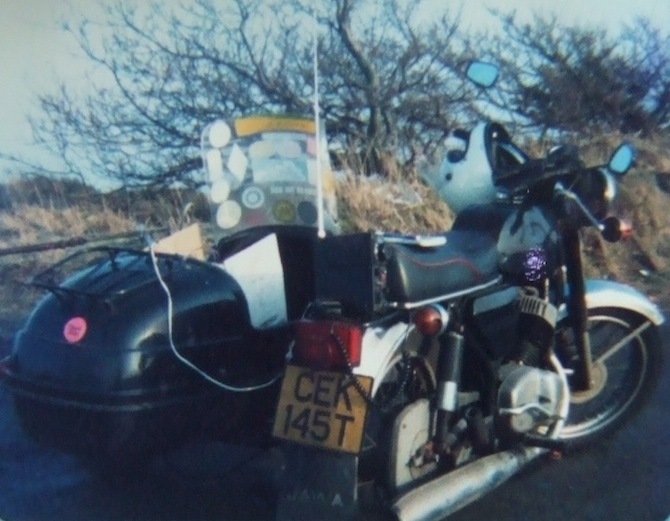 The damage on the fairing is where a Welsh Farmer tried to move it when I wasn’t there. 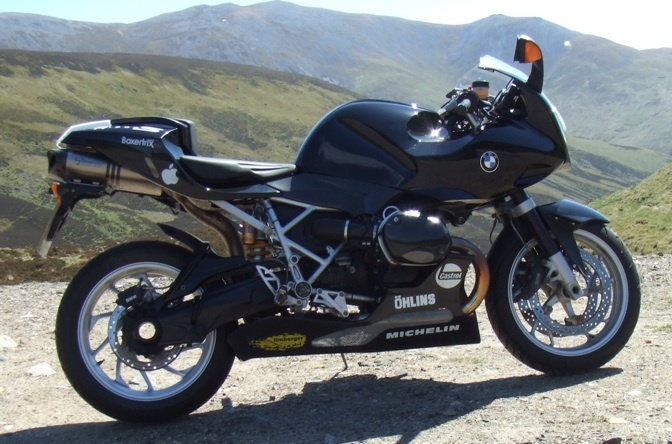 I went back to a Boxer – the R100RS. 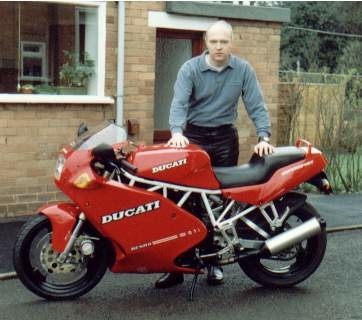 My ‘mid-life crisis’ bike – a Ducati 750SS. 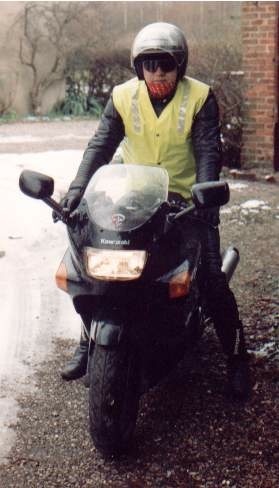 The only Japanese bike I ever owned – a Kawasaki ZZR600. After that I went totally Enduro with an F650GS. A promotion at work meant I had to make fewer journeys down back roads, so it was back to bikes built solely for “the black stuff”. 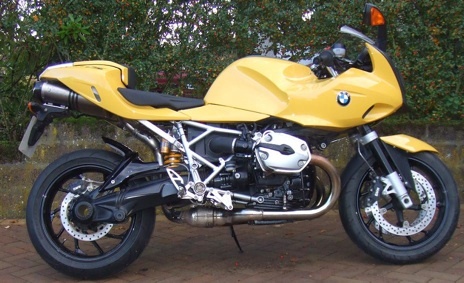 This is a BMW R1150R below. 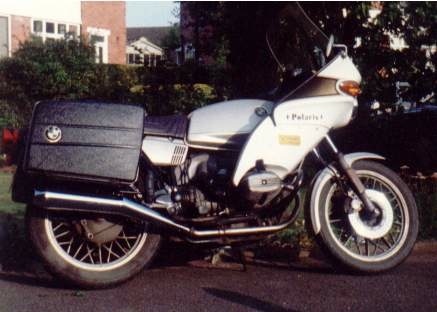 I soon got rid of the panniers, which made the bike cumbersome. 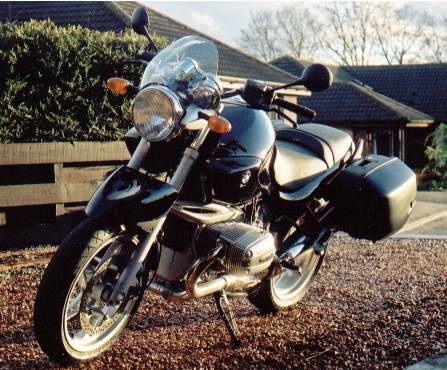 Even sportier – an R1200S. 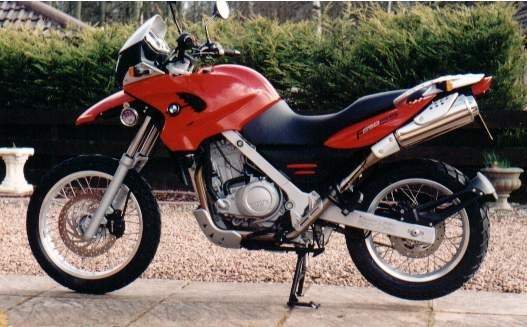 Note the front and rear ‘crash bobbins’. Next purchase, as-and-when, will be stainless steel bolts throughout. 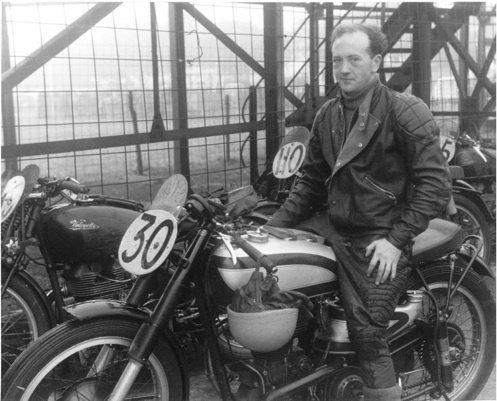 Here are some other interesting pics from years gone by the first three are of TT Privateer Mick Tonge – the father of a good friend of mine – firstly on a Norton and then on a BSA 350 Gold Star, photographed on the Isle of Man. 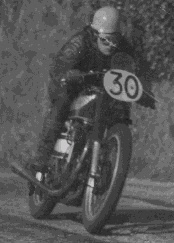 At the 1951 Manx Senior GP. (c) Constance Tonge. 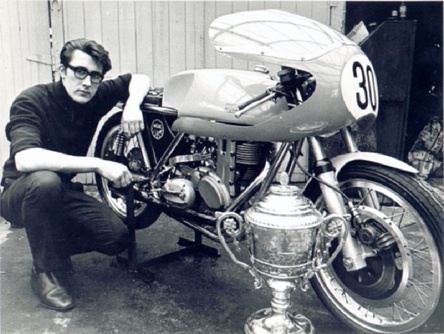 Below is Nigel Rollason with the 1969 TT Clubman’s Trophy. 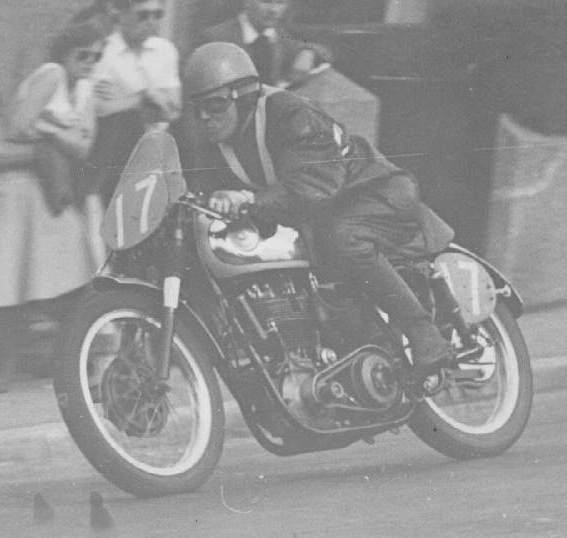 Nigel later went on to be a consistent sidecar racer on the Island. I met him much later on 40m as G4NRR. 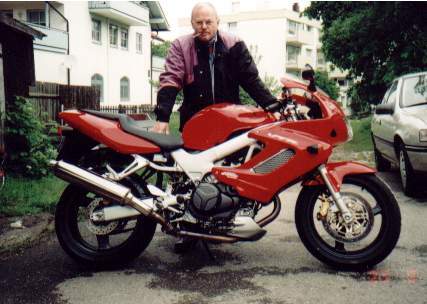 Below are two pictures of a dear friend of mine, Reinhard Klopf from Bavaria, now alas silent engine. 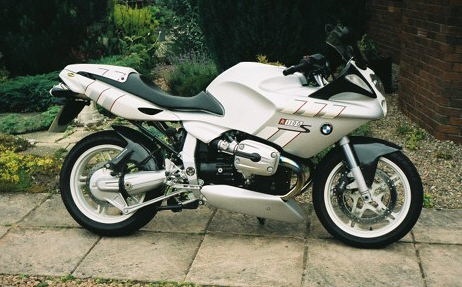 I met Reinhard more than three decades ago at the Isle of Man TT, and it was he who first turned me on to BMWs. 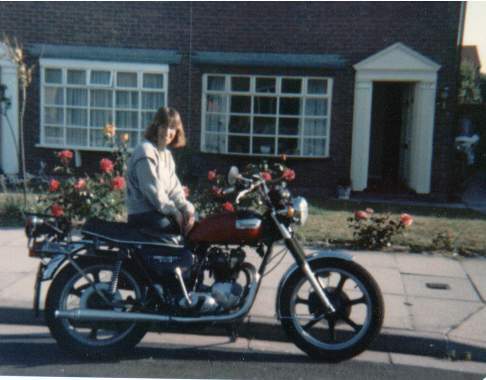 A pic from the early 1980s – a Triumph Bonneville belonging to family friend Margot.